Marvel’s Spider-Man has a major problem. No, it’s not the rote open-world formula. Insomniac’s Spider-Man fantasy pretty effectively covers that up, and I already talked about that in my review. The one thing that persistently bothered me was Insomniac’s shallow treatment of a longstanding Spider-Man character. Marvel’s Spider-Man puts J. Jonah Jameson in the role of “Alex Jones parody” for the duration of the game, but the joke is rapidly lost to a problematic depiction of the character that isn’t nearly as nuanced as he has the potential for. J. Jonah Jameson has always been something of a parody in the Spider-Man comics. The character was created back in March 1963, first appearing in The Amazing Spider-Man #1. Stan Lee created Jameson as a mirror of himself, and other Spider-Man writers have backed that assertion. Various iterations of the character have had slightly different takes, whether it’s different comic arcs, Spider-Man films, or other portrayals. 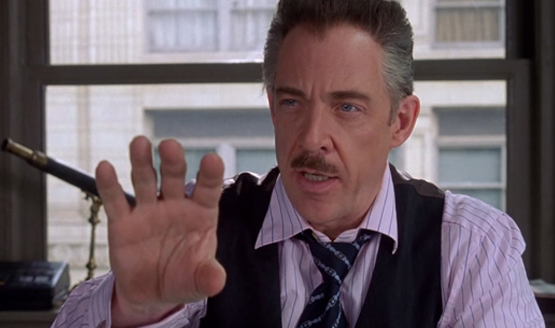 Perhaps the most well-known depiction of Jameson has been that of J.K Simmons, who played the Daily Bugle’s Editor-in-Chief in Sam Raimi’s Spider-Man trilogy. Simmons has also provided his voice to JJJ in a number of animated depictions. Most well known for his disdain for Spider-Man, Jameson bought photos of Spider-Man from Peter Parker for the purpose of defaming the superhero’s character. He’s often loudly proclaiming that Spider-Man is a menace to anyone who will listen, and using the paper to spread his own views on Spidey’s brand of vigilante justice. Yet he’s always had a gruff caring for Peter as something of a son. J. Jonah Jameson may be a parody, but he’s also been the grounded voice of reason to make readers and viewers think. Yes, Spider-Man is a hero, but he has a tenuous relationship with the law, at best. Some of the points that Jameson brings up provide a foil to the heroics that vigilantes like Spider-Man perform, where we turn a blind eye to how they skirt around normal process. He allows us to question our heroes a little bit. Whether he’s right or wrong isn’t what’s important. It’s that he opens the door to the question being asked. Despite his outrageous outbursts, there’s always been a level of respect held for Jameson. As the Editor-in-Chief of the Daily Bugle—and in later arcs, Mayor of New York—the comics have almost always given his role a seat of power at the table, to make sure that people take his points somewhat seriously. He has to garner that kind of respect for readers to legitimately question if Spider-Man is entirely in the right. And then Insomniac took Jameson and made him into Alex Jones. If you’re unfamiliar with Alex Jones, he’s the host of the radio show InfoWars and a conspiracy theorist, regularly allowing himself to get worked up to the point of shouting angrily about those conspiracy theories. Many of his points devolve quickly into complete madness (he maintains that the government has access to “weather weapons” that can geo-engineer storms and other weather anomalies at will, and that multiple mass shootings have been faked for a political agenda). Jones has been parodied in a number of places, including by various comedians and even by The Late Show’s Stephen Colbert, but perhaps there’s no greater parody of Jones than Jones himself. This is why it’s so disappointing to see J. Jonah Jameson reduced to an angry, shouting radio personality with no kind of character arc or development. 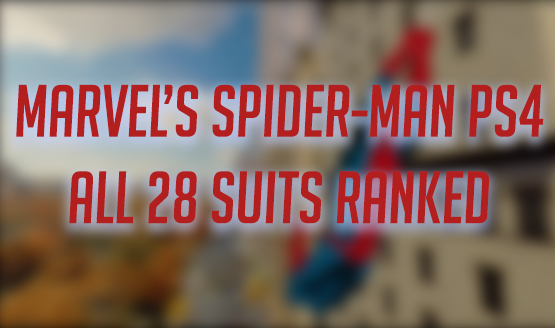 Marvel’s Spider-Man’s portrayal of Jameson just fails to meet the stature of his character. On hearing the first morsel of Just the Facts with J. Jonah Jameson while swinging around the open world, my immediate thought was “Oh, how the mighty have fallen.” The once respected indignance of the fiery character was reduced to angry voice clips on a fake radio show. He’s played for laughs, but the laughs don’t last long. The audio segments follow major events in the game, with Jameson giving his own take on how they went down and taking calls from various people. Occasionally, he’ll give that valuable nugget where I would think, “You know, he’s got a point there,” but most often he was left to stew, rage, contradict his callers, and even outright call them liars. 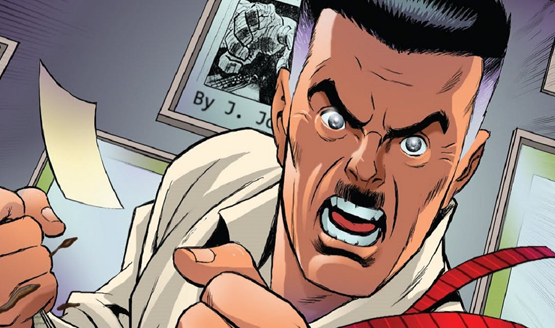 J. Jonah Jameson became a conspiracy theory peddler, dealing in fear mongering and ridiculous assertions about more than just his disdain for the Spider. I’m not against parody, and Jameson has always walked a line dangerously close to slipping into the kind of rage-filled conspiracy rants that Jones is known for, but Insomniac drip fed this persona throughout the game. In total, there are 81 Jameson clips that play, for more than an hour’s worth of Jameson’s angry dialogue. “A webbed pervert walks among us!” as Jameson asserts that Spider-Man is a peeping tom. At one point he starts on a rant about how Spider-Man is going to start eating people, like a real spider might. It goes on. And on. And on. I went from amused, to annoyed, to downright upset that I was forced to keep listening to them. And then, if you so choose, the entire catalog of audio clips is available to listen to again right in the menu. I don’t choose to listen to Alex Jones. I don’t want to listen to Alex Jones. I don’t want to listen to extended parodies of Alex Jones. If Insomniac was going to give J. Jonah Jameson more than an hour of dialogue in the game, they could have given his character a far more interesting arc over that time. Otherwise he should have been left to be an Easter egg or small reference, rather than an entire collectible set of angry rants that you don’t have any choice in collecting or not. Look, I get it. This is where the world is now. Insomniac wanted to give Jameson a part that felt relatable to real life, but they took a character that had the opportunity to pose some really dynamic questions and instead made him a meme. Instead of being a central part of Peter’s life, he was an audio personality that had lost all the respect he once held. J. Jonah Jameson can be interesting and nuanced beneath his brash exterior. Marvel’s Spider-Man never explores that nuance, and that was a decision that left the once respected character shallow, angry, and brutish. For the record, in current comic arcs, J. Jonah Jameson is actually working with Spider-Man after learning his secret identity, reconciling his hatred for the Spider with his longtime views of Peter as a son. That’s a deep character. Marvel’s Spider-Man is supposed to take place eight years after Peter got his powers, yet one of the most prominent and potentially interesting characters was left to rot behind a conspiracy theory radio show. This article is entirely the opinion of the author and does not necessarily reflect the views of PlayStation LifeStyle or its staff.